Your smartphone is an incredible wonder. Not only can you use it to talk, text, e-mail and connect with people on social networks, you can use all sorts of helpful apps that do things like tell you where to get the cheapest fuel, keep track of your money, and even turn your phone into a flashlight. In fact, the list of what your smartphone can do seems endless. But there’s one thing you may not think about using your phone for: Keeping your family safe. In the case of these smart apps, you'll be armed with the tools you need get help and information for yourself and loved ones. If you ever worry about stalkers, kidnappers, robbers and other malefactors hurting you or your family, React Mobile can bring you peace of mind. Ideal for runners, students or salespeople working with strangers in unfamiliar settings, the app lets you send out an SOS alert via email or text message to chosen contacts, giving them your last known location. 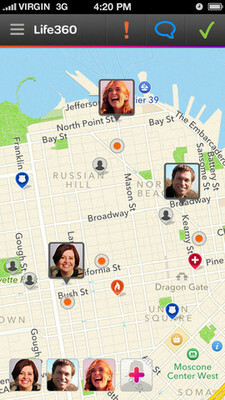 Or, you can let them follow your route in real time through a “Follow Me” feature. You can even broadcast your GPS coordinates to your Facebook friends or followers on Twitter, so as to get help from anyone who might be nearby. Once you send out an alert, the app asks you if you want to call 911. Currently React Mobile is available for iOS devices. The developer says later this year it will support Android devices and will be introducing several new features, including geofencing, which alerts chosen contacts if a phone moves outside of a particular area. Price: Free at iTunes and Google Play, although the “Follow Me” feature is available as an in-app purchase for $1.99 a month or $19.99 for a year. There’s also a Panic feature which family members can use to send a phone call, e-mail and text message that includes his or her GPS coordinates to everyone linked by the app. But what’s especially endearing about Family Locator is not only can it locate lost or stolen smartphones, it can track and find up to five non-smartphones, as well. Price: Free on iTunes and Google Play, although tracking non-smartphone users costs $4.99 a month. 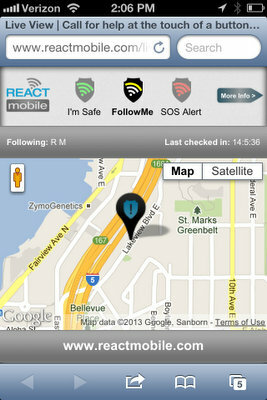 Want the low-down on real-time criminal activity and car accidents in your neighborhood? 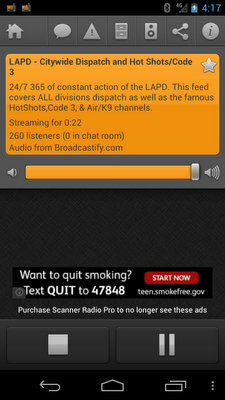 This popular and highly rated Android app lets you listen in on police, fire, EMT and weather scanners, You can sort by the ones closest to you, those that have the most listeners or by genre, such as those pertaining to public safety, air traffic or weather. To find out when something big is happening, you can also configure the app to notify you when a scanner near you has more than a certain amount of listeners. The audio for Scanner Radio comes from volunteers, most of whom are streaming audio of their scanners through Broadcastify—another great way to listen to public safety scanners from all around the country using your PC. The paid version can be configured to start or stop playing a favorite scanner when certain conditions are met. Want more ideas for apps that can keep you and your family safe? Check out Personal Safety Apps That Send for Help.